What’s the scoop: Now that they know who Cicada is, the group needs to find a way to stop him. In order to make the appropriate anti-Cicada gizmo, Nora suggests she and Barry travel back in time to collect a number of objects from Barry’s past, combine them into the superweapon they need, then plant it at the hospital in the past to use it in the future against Cicada. Barry isn’t exactly for the idea at first, but can’t learn his lesson, so it’s back in time with a Ralph-supplied Huey Lewis soundtrack. Meanwhile in B-plot Land: Wells discovers Nora’s journal, which I forgot existed because we’ve only seen it a couple of times. It’s written in that weird language that Barry used after he was imprisoned in the SpeedForce. He asks Cisco about it, and he seemed more concerned about the invasion of privacy, than the contents of the diary. At the end of the adventure, Nora comes to collect her book, and Wells quizzes her about it. She says it’s a language she invented, and it doesn’t change no matter what happens to the timeline. Wells knows off the bat that there’s something fishy about that statement; he just needs some time to piece it all together. 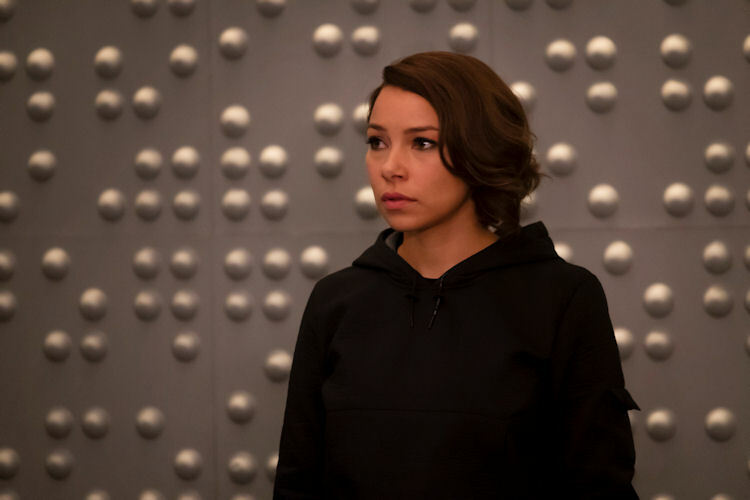 What about the action: We got to revisit some of the climactic moments of the last four seasons, and see them through Nora’s eyes. She tells Barry she suggested this solution because it lets her get to know her dad in new ways, though given what we got in the stinger, a sizable portion of this daddy stuff could be horse crap. It was interesting to remember and revisit Savitar, Zoom, and the time wraiths. 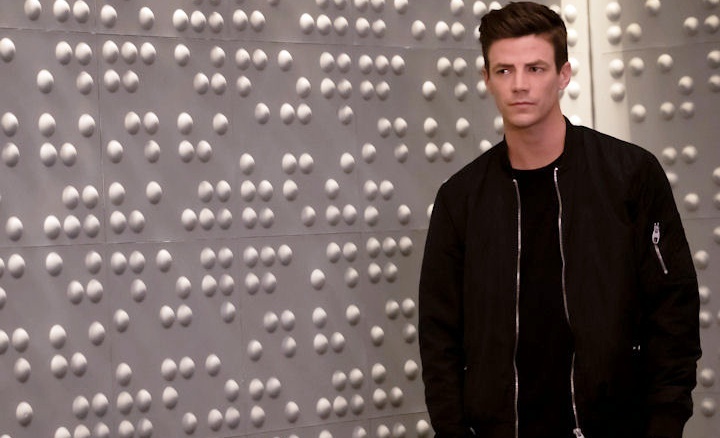 The most curious encounter was with Eobard Thawne as Wells, who played his mind games with Barry and Nora. With the pieces properly assembled and placed, Team Flash has its showdown with Cicada. Once again actions happened because the plot demanded it (this time it was Cisco breaching the dagger into low Earth orbit, rather than some alternate Earth that is all volcanoes or something, like he’s done a dozen times before). Luckily for everyone else, Killer Frost isn’t a metapower created by dark matter, so she’s able to get the upper hand on Cicada, and he’s forced to make a hasty retreat. What’s next: In the stinger, we see Nora send a coded journal entry to an unknown recipient, via Gideon in the time vault. That doesn’t remain a mystery very long, as it appears Nora has been working with a version of Wells (or Thawne?) who is imprisoned, and his jumpsuit is the Reverse Flash outfit. Nora (and the rest of us) are seeking answers. Last impressions: For a 100th episode, this had zero hype. Arrow‘s 100th was a part of the first giant crossover, so it was incorporated into a larger event. This milestone has definitely been overshadowed by the Elseworlds crossover next week. 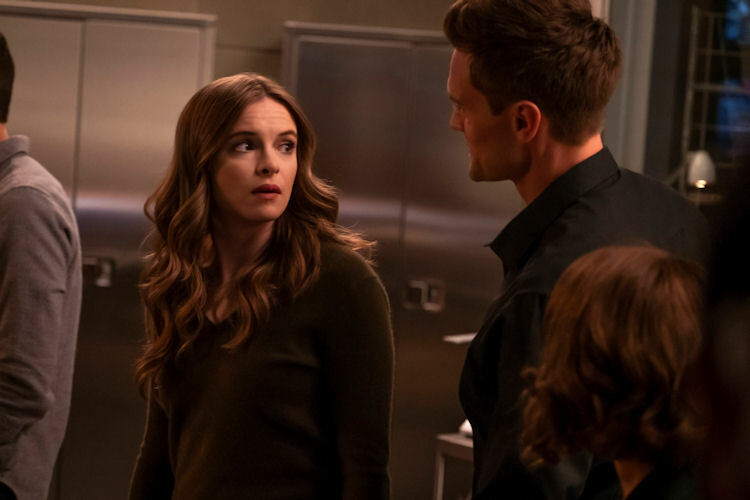 There’s always been something sketchy about Nora, and now we know that she’s been sent back by Mystery Thawne to at the very least, spy on Team Flash — and possibly manipulate the timestream to unknown evil ends. Nora has certainly taken a shine to her parents and their friends, so I am feeling a fall from grace and redemption arc coming for Nora. The big fight with Cicada was frustrating, because the team acted out-of-character stupid. Cisco’s breach gaffe was just the first part. All the heroes just stood there during the minute it too Cicada to recover his dagger from space; someone could have punched him or something. And, if they are all such super-geniuses, why did they discover that Caitlin is immune to Cicada’s power by accident? That seems like an easy piece to string together. Overall the Flash nostalgia was fun to revisit, even if it was to really let all that convoluted story just really soak in.